Wing Chun Kuen Kuit training system: Wing Chun schools use wing chun kuen kuit in training classes. Training in Wing Chun proceeds in a logical step. Principles of Wing Chun are applied in the context of physical unarmed combat. Some Wing Chun schools use wing chun kuen kuit (咏春拳诀 lit. Wing Chun Fist Formula (mnemonic)) in teaching the art. These are short, often sing-song, sayings or rhymes that encapsulate principles, strategies or combat responses. Their meanings are often derived from local slang. Some sayings may appear simple but gain greater lucidity and meaning during training. Training in Wing Chun proceeds while principles of Wing Chun are applied in physical unarmed combat. The first form of Wing Chun gives all the fundamentals for the art. The second form teaches how to bridge the gap between you and your opponent. The Wooden dummy teaches how to proceed the instant contact is made. Sticking hands training teaches what to do if contact remains or comes apart. People often ask, “Does Wing Chun have this or that movement?” Wing Chun practitioners are not artificially restricted to only use certain movements. The achievement of an effective result is what matters most. Wing Chun uses punches, palms, pokes, chops, kicks, elbows, shoulder attacks, head butts, knees and hips. Sweeping, and other forms of off-balancing are also a part of the art. Short range non-telegraphed hits provide the arsenal of Wing Chun. Wing Chun is characterized by short explosive hand attacks, low kicks and simultaneous attack and defense. What is not apparent from this description is the ease with which it is possible to apply control techniques rather than hurting and hitting techniques. Sticking, trapping, smothering, deflecting and evading are all products of Chi sau practice. Wing Chun Kuen Kuit is a scientific system of Chinese kung fu. Wing Chun Kuen is not only a form of unarmed combat but also teaches the understanding of one’s own body mechanics. Through Wing Chun a practitioner develops both mental and physical improvements and advantages – for example, better body structure, greater fitness, a keen sense of awareness, improved timing, and increased precision and control over one’s movements. Wing Chun Kuen is a sophisticated weapon, where body mechanics are used with efficiency to their maximum effect. The meaning of the word “Wing” is Eternal – relaying the sense that the art is with you forever; it is in you at all times and strengthens any actions or activities you undertake. If the principles of Wing Chun are applied in the context of physical unarmed combat, using a body that has been conditioned to maturation and employing finely honed strategic intelligence, the result will be a very sophisticated, efficient, and complete system. Over the last thirty years, the fighting aspects of Wing Chun have been stressed, but it is important to make clear that Wing Chun is not only a system of fighting – if a person is looking only for a fighting system they might as well learn how to use a gun. There are also others benefits in this art which must not be dismissed. The training of Wing Chun at the Reading Academy of Wing Chun & Kali is an intense cardiovasuclar workout that helps eliminate muscular pain, maintain fitness, stamina, general health, coordination, balance, awareness and self-control. The training requires time and self discipline, teaching one how not only to react in a combat situation but also in daily life. A practitioner learns to act with intelligence, not in anger or because of pride, and to deal with fear and stress. Teaching the body to react to stimuli in a controlled manner, Wing Chun focuses on directness, simplicity and economy of motion. “The art of being lazy!” as sifu Nino Bernardo always says. Studying Wing Chun at the Reading Academy of Wing Chun & Kali teaches a practitioner about themselves. It illustrates their body’s mechanics, how to maintain simplicity and effectiveness. It also develops an understanding of emotional reactions, teaching one to maintain control despite anger or pride. It helps promote the best in a practitioner and teaches how to eliminate their less positive aspects. Wing Chun is a system that encompasses the entire body and mind, a system that develops a person in totality as well as being a highly efficient and direct form of self-defence. It has been designed in order to maintain and develop both physical and mental well-being by educating the mind and body together in harmony and teaching the practitioner how to deal with mental and physical stress. If the mind is more advanced than the body, or vice versa, then balance is one sided or biased. Wing Chun is more than a fighting system, and we do not dismiss the fact that it is an efficient fighting system, but it can be used in everyday life (work, health, relationships). The human brain suffers from haste and hunger for success. Most of us are impatient, but remember that it is not only your brain that needs to be trained, but also your body and you have to give it a chance. How long this takes is up to individuals, but enjoy the journey! The harder you try, the more frustration you experience. Just let the development happen naturally and when you get it you will not even notice it. One morning you will wake up and it is there! You must first delete yesterday’s baggage. Then allow yourself to approach it as a child’s game, by accepting mistakes and learning from them. Progress and development transcend the game. Humans are so consumed with using the brain (intellect) that they have forgotten the body. When the body becomes ill we go to the doctor for medical advice. But we still continue to do the same thing that caused the illness! So it becomes a cycle. Why? Because we are so busy with everyday life that we take our bodies for granted. Wing Chun offers immunity from physical and mental illness if practiced correctly. As Zen says, try to become nothing, see nothing and feel nothing. Nothing does not hurt. This is the idea of the first form. The hard breaks, but the soft bends like bamboo. When you see a beautiful old tree you admire its beauty and how solid it is, but strong winds will one day break it, whereas bamboo springs back with great force after it has absorbed the force of the wind – like Wing Chun. Be like water. If you throw a stone into water it does not hurt the water, it goes to the bottom. You cannot cut, catch or hurt water, only what is solid can be hurt and can break. Translated into English, Wing Chun means “eternal spring”. Wing Chun gives you eternal youth. There is no time limit to master it – don’t forget that all of us are individuals. It is important when training not to focus only on the fight; otherwise all the other benefits of Kung Fu will be missed. The way you train in Wing Chun and the way you fight are two different things. No one can teach how to fight, but Wing Chun prepares you for fighting mentally and physically. Wing Chun is not a martial art, it is a martial skill, everyone has Wing Chun within them, anyone can do Wing Chun, it is simple but it isn’t easy. You need to delete your old condition to allow the natural to come out. Wing Chun Kung Fu is a southern Chinese martial arts systems. The foundation of Wing Chun kung fu is based on several concepts and principles. These are some of the core concepts of Wing Chun Kung Fu. These concepts are the key to building a solid foundation. What is Wing Chun… Wing Chun Kung Fu is a perfect art for the uncertainties of actual self-defense and combat. Wing Chun Kung Fu is a truly amazing and beautiful kung fu style. It is one of the most practical martial art systems you can study. Wing Chun Kung Fu relies on biomechanics, not brute force. Wing Chun is a scientific yet theoretically based martial arts form. The specialty of a Wing Chun practitioner is close-range combat. Wing Chun utilizes well-coordinated angular deflections with simultaneous attacks. Yongchun Quan or the Yongchun Chuan is said to have been created by Yan Yongchun of Liancheng County in Fujian Province. It is said that during the reign of Emperor Jiaqing (1796-1820) of the Qing Dynasty, there was a Shaolin Chuan master Yan Si in Quanzhou of Fujian. To escape oppression, he left the city to take refuge with his family, and stayed in seclusion at Liancheng. Yan Si had a daughter called Yan Yongchun. 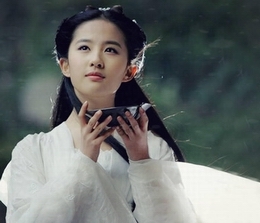 She followed her father to practise martial arts since childhood and later became a Wushu master herself. One day, when Yongchun was washing clothes at a riverside, she noticed a white crane fighting a green snake. She watched the fight carefully for a long time and came to understand their fighting rules. Thereafter, she combined the tangling and hissing of the crane and snake with the movements of the white crane Chuan and the southern-style Shaolin Chuan, forming the original Yongchun Chuan. After Yan Yongchun married Liang Botao of Jiangxi Province, she taught her Chuan to her husband. They set up a Wushu club at Liancheng to teach the art. After the death of their father, Yan Yongchun and her husband traveled in Jiangxi before settling down in Guangdong Province, where they taught the Yongchun Chuan at Zhaoqing. In the 20th year (1815) of the reign of Emperor Jiaqing during the Qing Dynasty, martial arts actor Huang Baohua went to perform at Zhaoqing and met Liang Botao. Liang taught Huang the Yongchun Chuan while Huang taught Liang cudgel plays. They both mastered the arts. In his later years, Huang Baohua passed the martial arts of the Yongchun Chuan and his cudgel plays to Liang Zan who, after mastering the arts, developed them into the present-day Yongchun Chuan. Meanwhile, the Yongchun Chuan became popularized through the efforts of other boxers who combined to improve and develop the art. The Yongchun Chuan features: steady stances, generation of forces, three tricks with six forces, fists playing close to one’s own body, usage of explosive power, stressing on real combat, focusing on completion of movements, combination of offence and defence by forcing up or crushing down the fists or feet from the opposing side. This style of Chuan emphasizes speed of play, keeping fists and feet close to one’s body for better protection, as well as to prepare for attacks and fighting the opponent at close range. When fighting, Yongchun boxers contain their chest, arch the back, close their elbows and knees, draw in their ribs, keep their thighs closed to protect the groin. When they use their feet for attack, they must also use their hands in cooperation. When they kick they do not expose their groin and when they deliver fist blows, their hands do not leave the front of their body.